I know I said I was going to wait until tomorrow to post this, but I couldn't - I'm too excited! 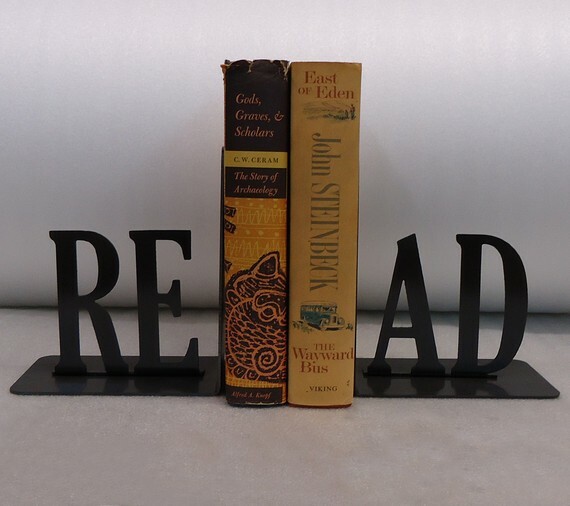 I love reading (um, duh), so I thought it fitting to start with some gift ideas any avid reader would appreciate. I absolutely love this e-reader case from Jenny's shop Secret Nook. I don't have an e-reader, but I kind of want to buy one just so I can get this case, (for some reason, the mister didn't exactly agree with that logic), and I gasped when I saw the inside material - so unexpected! The print of this quote made my former English major heart swell with pride. So true. (I don't care what you say. 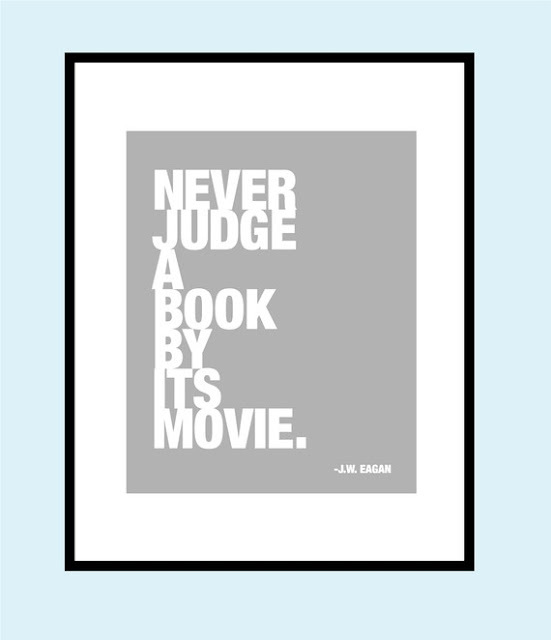 The book is always better). This shirt from NIFTshirts almost makes it a little easier to bear that the books are finished. 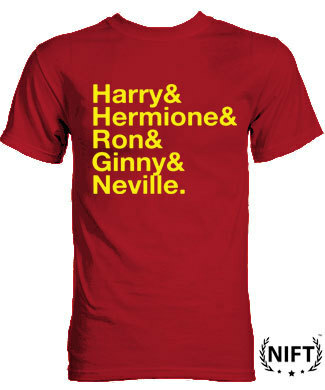 (And in the Gryffindor colors!) If you don't know who these characters are you a) have been living under a rock and I'm sad for you, and b) need to get thee to Amazon, stat. What do you think? Did any of these items strike your fancy? (Yes, I did just use that phrase). Would you wear that t-shirt in secret, or proudly down the street? And if anyone can convince Ben that buying me an e-reader wrapped in that case is completely necessary, let me know. 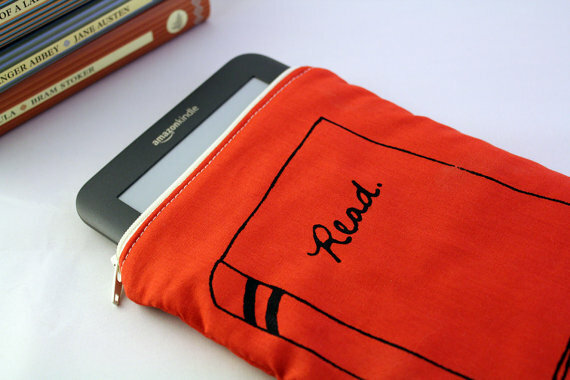 Oo, I love that e-reader cover! 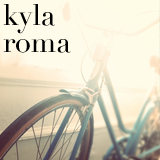 I have one for my nook, but it's not nearly as cute as that! I would basically want anything in this post. 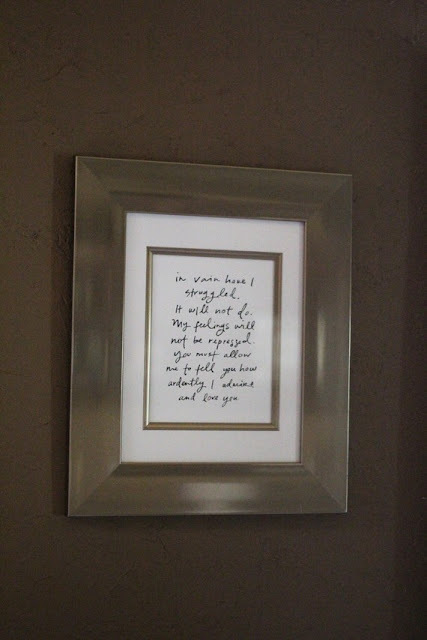 One of my faves is the Jane Austen quote, but I think it would be weird for a single girl to hang that on her wall..... Hee hee. I love ALL of these! All all all! I am tempted by the e-reader...And I love that cover! Personally, I love that Darcy letter. Pride and Prejudice remains my favorite book! This is supposed to give me ideas for others, but really I want to buy them for myself. Haha! I love the Jane Austen quote. I want to buy that and tuck it away- saving it for when I get married to hang on our bedroom wall! LOVE the quote! I really like the idea of hanging quotes in frames and have been searching for the perfect one for my office on etsy lately! I've starred this post to come back to as I see a few gifts that are jumping out at me to buy for people :) Love this series Becky! Oh my goodness, I love this post. As a literature lover and fellow English major, I can get behind any of these gifts. 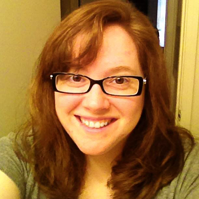 Great series, Becky.